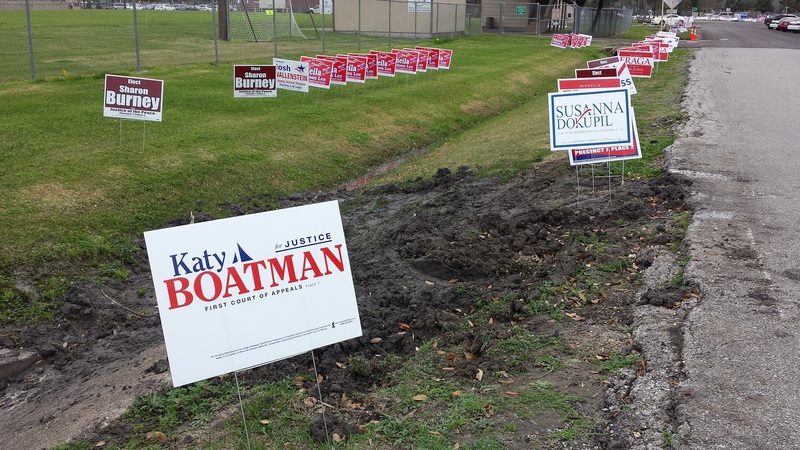 Bayland Community Center, 6400 Bissonnet in southwest Houston is one of 46 Early Voting locations in Harris County. With last week’s Florida school mass shooting and other issues on voters’ minds, early voting has begun for the March 6th Primary. Early voting runs through March 2nd for congressional, judicial, state and local offices. Voters are advised to do their homework on candidates seeking re-election, running for office, their positions on issues and who funds their campaigns. One source is http://www.opensecrets.org. 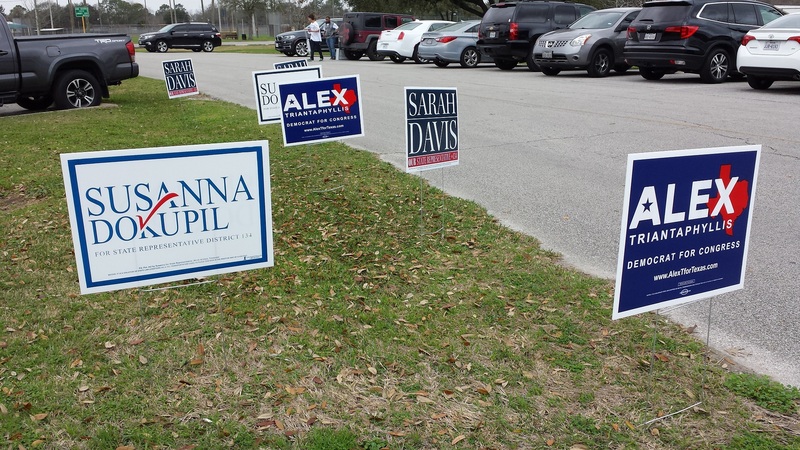 Candidate signs were plentiful at this polling site. 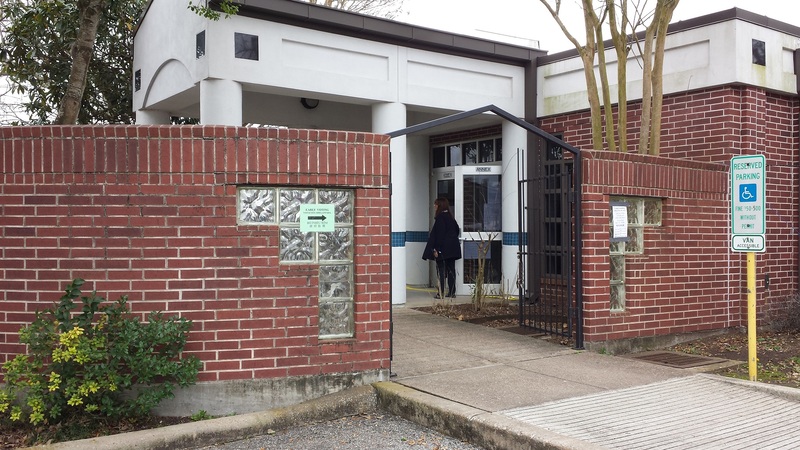 Maria T. (Terri) Jackson running for Presiding Judge, Court of Criminal Appeals was at Bayland Community Center this morning to ask people to vote for her. Jackson is unopposed in the Democratic Primary. 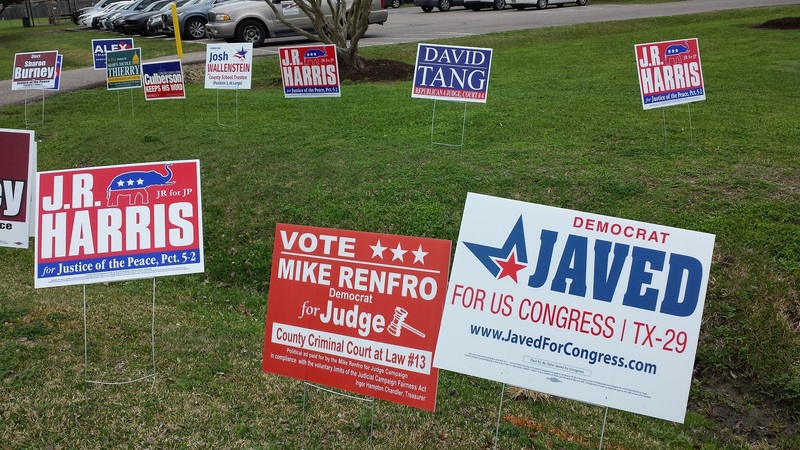 In Fort Bend County, Jennifer Chiang, a Republican seeking Judge, County Court, Law 3, used social media today to remind voters to vote early. Chiang has a fundraiser tonight at Rudy’s BBQ in Richmond and at Yao’s Restaurant in Houston on Wednesday night, February 21. 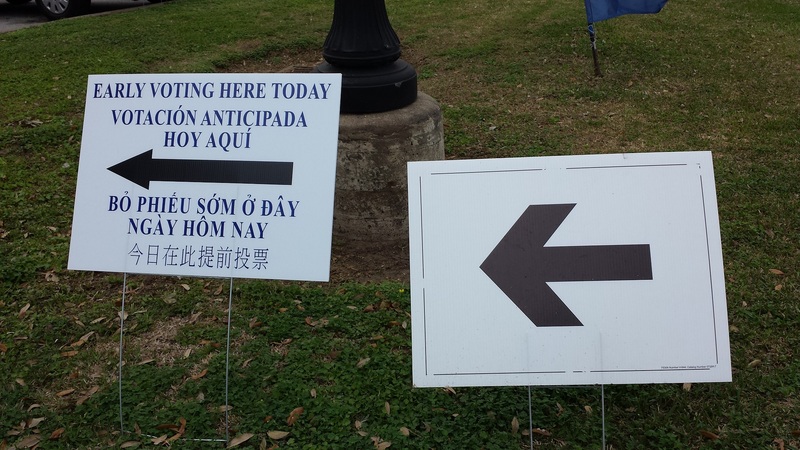 English is the official language at the polling place. The ballots are in English, Spanish, Vietnamese and Chinese. If there’s a communication problem with supervising election workers, interpreters are available. Voters also can bring their own translator to the polls. United States citizens and registered voters are eligible to cast ballots. Bring photo identification to the polling place. For more information, a preview of the Democratic and Republican primary ballots, polling sites and hours, visit http://www.harrisvotes.com or http://www.fortbendvotes.com. Click on “Early Voting” links. 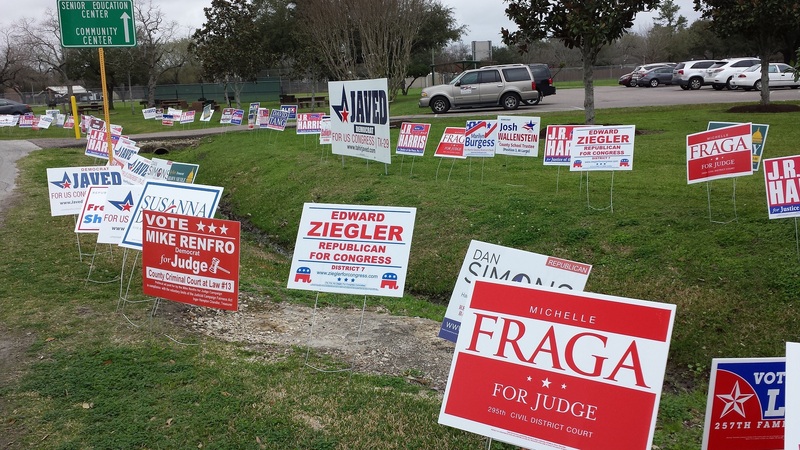 This entry was posted in Asian Community, Asian Community Houston, Community Events, Elections and Politics and tagged 2018 Primary, Early Voting Harris County 2018, Early Voting March 6, Fort Bend County Early Voting 2018. Bookmark the permalink.